What we have started some months ago, when just planning for the next Wiki Academy Kosovo, columnated this weekend with around 90 articles being written by teams coming from nine different cities of Kosovo. It all began on Saturday morning when Gjakova welcomed participants coming from Prizren and Peja to start writing their articles for Wiki Academy Kosovo II- City Marathon. Jakova Innovation Centre was the meeting point where digital diplomats enthusiastically started their work to better represent their cities to the world. 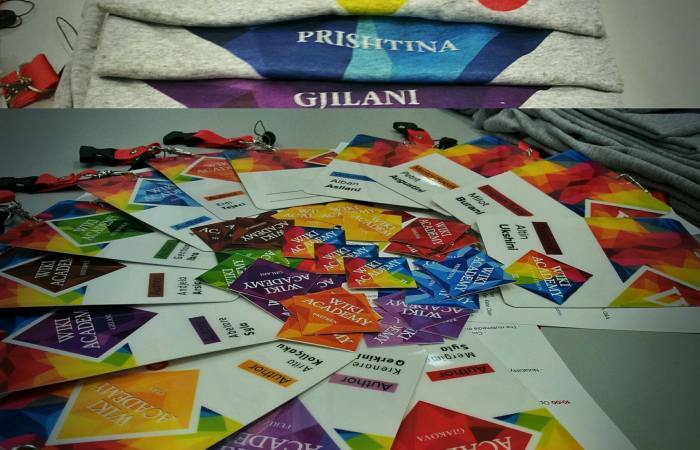 The same enthusiasm accompanied participants of Prishtina Camp on Sunday. Gathered at A.U.K youth activists coming from Prishtine, Ferizaj, Gjilan, Mitrovice and Shterpce started their work on articles which will be published on Wikipedia next weekend. More than 300 activists of two camps had the opportunity to learn from Wikipedia activists who dedicated their valuable time to Wiki Academy Kosovo. Arianit Dobroshi, Petrit Augustini and Katie Chan were the guest speakers and mentors who eased participants work by giving series of presentations on different issues related to article writing on Wikipedia. All teams will gather the next weekend to finish their articles and publish them on Wikipedia. Meanwhile, the jury will start evaluation of the pictures published by Photo Contest participants.